Product prices and availability are accurate as of 2019-04-17 12:24:41 EDT and are subject to change. Any price and availability information displayed on http://www.amazon.com/ at the time of purchase will apply to the purchase of this product. Controlling lights, shades, and temperature from a mobile device has never been easier or more reliable. 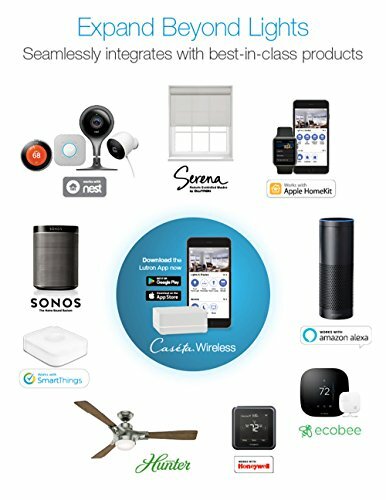 The Lutron Smart Bridge allows for setup, control, and monitoring of Caseta Wireless dimmers and Serena Remote Controlled Shades from a smartphone, tablet, and even your Apple Watch TM wearable. 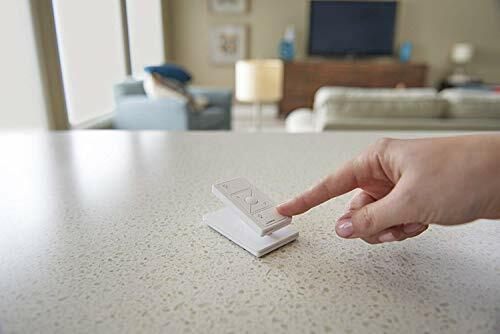 The Lutron Smart Bridge also works with Apple HomeKit, Nest and select Honeywell Thermostats, Logitech Harmony remotes, and more. 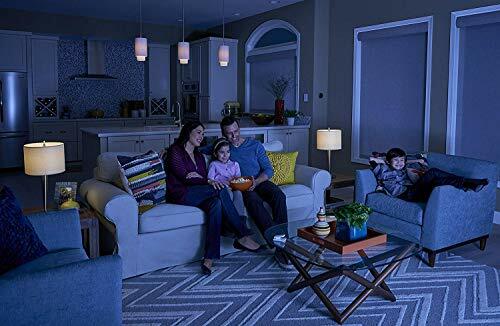 Schedule lights to adjust automatically based on the time of day, or create your favorite scenes that adjust multiple lights and shades with the press of a button. Enable geofencing to automatically turn your lights on/off when you leave or approach home, or to notify you that you left your lights on. 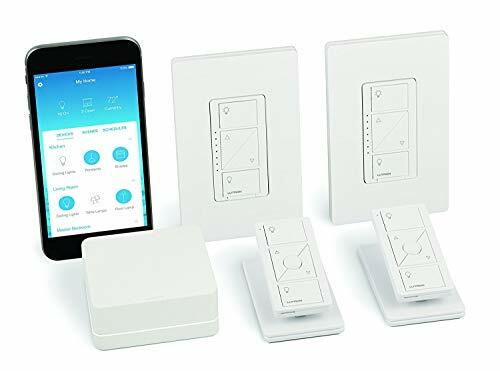 Starter kit includes (1) Caseta Wireless Smart Bridge, (2) Caseta Wireless In-Wall dimmers, (2) Pico Remote Controls, (2) single tabletop pedestals, and (2) one-gang Claro wallplates.